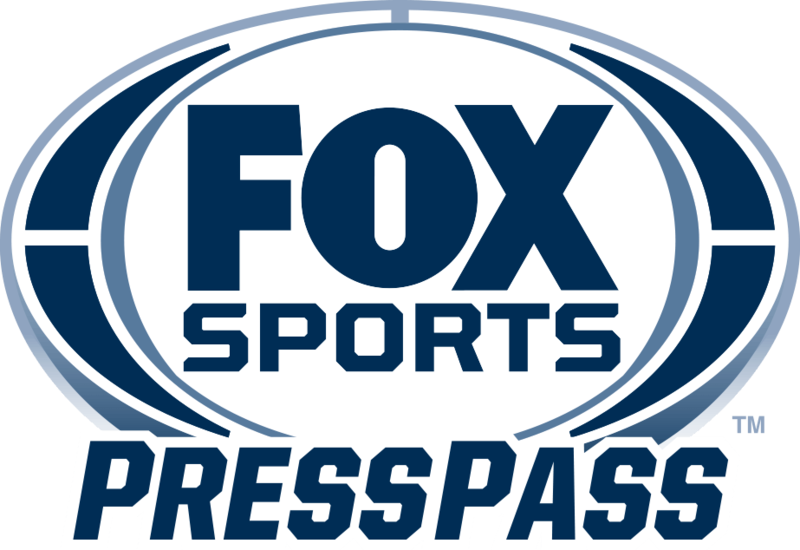 CHARLOTTE, NC – As NASCAR prepares to honor its MONSTER ENERGY NASCAR CUP SERIES champion this weekend in Las Vegas and teams finalize their 2018 lineups, FOX Sports has begun stacking its broadcaster deck for 2018. New to the FOX NASCAR arsenal next year, the network’s 18th consecutive season broadcasting NASCAR races, is veteran driver Regan Smith, who will serve as a pit reporter for the MONSTER ENERGY NASCAR CUP SERIES and NASCAR XFINITY SERIES, in addition to continuing his role as a NASCAR RACE HUB analyst. He took a broadcasting test drive with his race analyst debut last June at Iowa Speedway for FS1’s presentation of the NASCAR XFINITY SERIES race. Smith, winner of the prestigious Southern 500 at Darlington Raceway in 2011 and 2008 MONSTER ENERGY NASCAR CUP SERIES Rookie of the Year, has regularly appeared as a driver analyst on FS1’s NASCAR RACE HUB since 2015. For its broadcast of the first half of the 2018 MONSTER ENERGY NASCAR CUP SERIES season, FOX NASCAR is armed with seven championships’ worth of analysis and insight. For the third year, Hall of Famer and three-time champ Darrell Waltrip pairs with four-time champion Jeff Gordon in the booth for analysis, with veteran play-by-play announcer Mike Joy, covering his 43nd DAYTONA 500 in February, and former DAYTONA 500-winning crew chief Larry McReynolds with race analysis on the strength of his 43 years in the sport. Delivering stories and updates from pit road are pit reporters Jamie Little, Vince Welch, Matt Yocum and Smith. Chris Myers hosts FOX NASCAR SUNDAY and the network’s race coverage from the famed Hollywood Hotel alongside Michael Waltrip, Darrell Waltrip and Gordon. FOX broadcasts 10 of FOX Sports’ 16 MONSTER ENERGY NASCAR CUP SERIES races, while FS1 telecasts the remaining six. WORLD TRUCK SERIES season. Welch calls play-by-play with veteran analysts Phil Parsons and Michael Waltrip. Hermie Sadler, Kaitlyn Vincie and Alan Cavanna deliver pit reports. The NASCAR XFINITY SERIES returns to FOX Sports for the fourth consecutive season in 2018, with Adam Alexander once again handling fulltime play-by-play duties alongside analyst Michael Waltrip and a rotation of prominent MONSTER ENERGY NASCAR CUP SERIES drivers to be announced in the near future. Little, Yocum and Smith cover pit road. Additionally, FOX Sports brings back its “Drivers Only” NASCAR XFINITY SERIES broadcast in 2018, at a track to be announced in the near future, after a wildly successful and critically acclaimed debut in June 2017 at Pocono Raceway. Throughout the 2017 NXS season, FOX Sports featured five Cup Series drivers in the booth, offering fans a variety of knowledgeable and current viewpoints. NASCAR RACEDAY, FS1’s popular prerace show, continues to deliver the excitement behind-the-scenes and up-to-the-minute reports from the garage prior to the start of each MONSTER ENERGY NASCAR CUP SERIES race. John Roberts and Myers share hosting duties, while the entire FOX NASCAR on-air team joins analysts Kenny Wallace, Jeff Hammond, Andy Petree and reporters Cavanna and Vincie. In addition, FOX Sports offers a dedicated 30-minute prerace show immediately prior to each NASCAR XFINITY SERIES and NASCAR CAMPING WORLD TRUCK SERIES race. Shannon Spake returns to host NASCAR RACEDAY-XFINITY with McReynolds and Wallace providing analysis. Roberts has the honors for NCWTS SETUP leading into all Truck Series races with insight from two-time series champion Todd Bodine. NASCAR RACE HUB, FS1’s daily news and update program, continues live at 6:00 PM ET every Monday through Thursday. Alexander and Spake co-host the hour-long program with analysts McReynolds, Hammond and Andy Petree, who are joined by a rotating team of active drivers and crew chiefs. The duo of Cavanna and Vincie are back with daily reports from NASCAR race shops, while Roberts hosts most Thursdays. NASCAR RACE HUB WEEKEND EDITION, hosted by Roberts, is a Friday and Saturday fixture on FS1, delivering at-track updates and news as it breaks throughout the course of the race weekend.